By Chris Sullivan, ChemSystems Inc. When most people think of concrete, words like “hard,” “durable” and “strong” come to mind. Not surprisingly, “maintenance,” “life expectancy” and “proper care” do not. 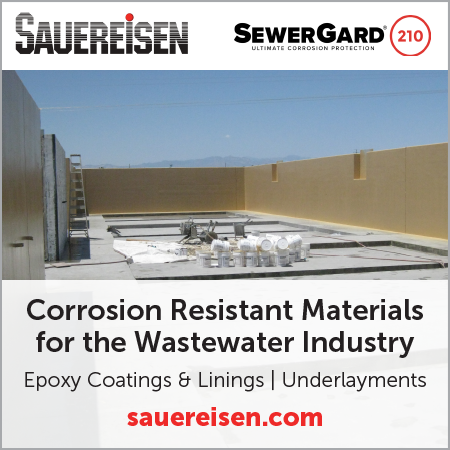 The same holds true for sealers used on concrete—the common expectation is that sealed concrete will look the same years down the road as it does the day it is sealed. Unfortunately, that is a common misconception. 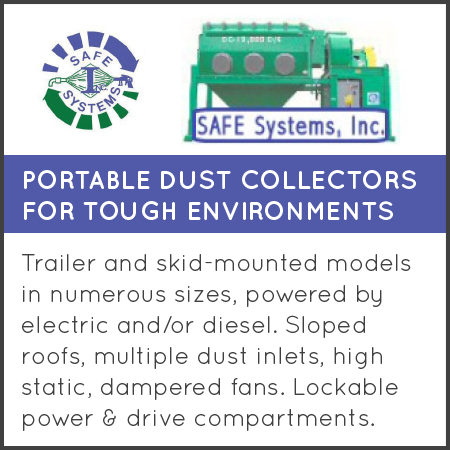 Concrete sealers, like almost every other construction material, have limitations. Discussing these limitations—level of gloss, life span and maintenance requirements, to name a few—is called “managing expectations,” and should be part of the discussion before any sealer is applied. For almost 20 years I have been troubleshooting issues associated with decorative concrete. Many times, the issues were less about product or installation failure and more about client expectations. 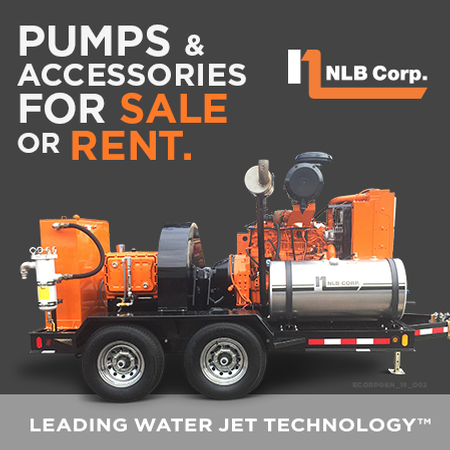 This is especially evident when it comes to sealers—and especially those used on decorative concrete. 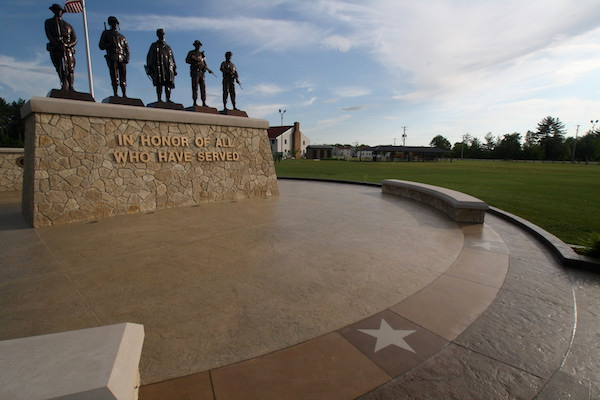 Photos Courtesy of Chris Becker/ChemSystems Inc.
Acrylic sealer used to protect stamped concrete at a veterans’ memorial. Any time a decorative touch is added to concrete, which includes sealers, we cross the line from utilitarian to artistic. This means that small aesthetic issues that are often overlooked or not even noticed on gray concrete now become a candidate for dispute. Who can blame the property owner? They are paying a premium for a sealer or decorative finish, so why should they not expect more? That statement is why managing expectations is so important. The perception that a concrete sealer—essentially a thin layer of plastic—will remain unchanged after years of exposure and traffic is unrealistic and sets up both parties—installer and client—for a dispute. The installer should offer, and the client should request, a contract that clearly states sealer limitations along with maintenance guidelines. I recently arbitrated a dispute between a homeowner and an installer regarding a sealer that was applied over the stained concrete floors of their home. 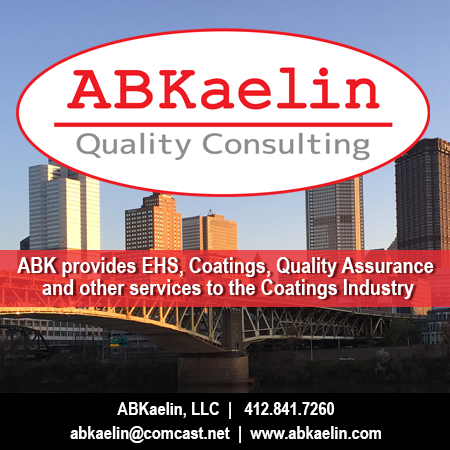 The contractor used the words “high-performance” in describing a thin acrylic sealer, and provided no written maintenance guidelines or limitations. The homeowner heard “high-performance” and deduced that they would not have to do much in regard to maintenance and the floors would look good forever. Fast-forward three years, when areas of wear started to appear in high-traffic areas in the kitchen and, according to the homeowner, water soaked through the sealer quickly in those areas. The two parties finally agreed to settle, but it was not until after months of fighting and thousands of dollars in lawyers’ expenses. In the end, the homeowner’s biggest issue was the lack of information regarding maintenance, not the actual performance of the sealer. Acrylics are rigid, hard and durable, and they offer good resistance to most household sources of contamination. In most cases they are breathable, which means that air and moisture can move through the film over time, reducing the issues of haze and trapped moisture. There are three key areas where clients are uninformed when it comes to sealers for decorative concrete. 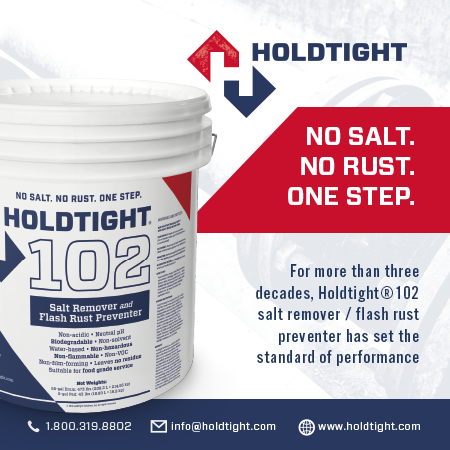 When you break down a concrete sealer into its most basic components, what remains on the concrete surface after application is basically a thin layer of plastic. That plastic is what takes all the abuse. Not all sealers are equal, and there are hundreds to choose from. Price is usually a good indication of what you are getting, but not always. There are too many product variations to get into specifics, but as a rule of thumb, acrylic-based sealers comprise more than 90 percent of the products designed for exterior decorative concrete applications. 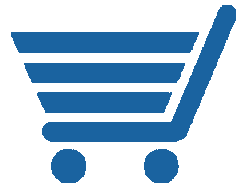 They provide the best overall performance for the cost. Acrylics are rigid, hard and durable, and they offer good resistance to most household sources of contamination. In most cases they are breathable, which means that air and moisture can move through the film over time, reducing the issues of haze and trapped moisture. 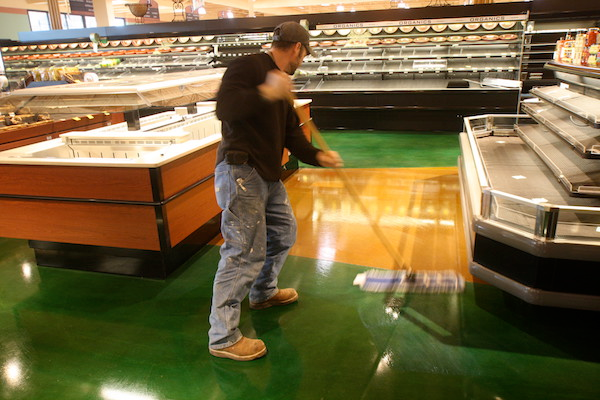 If a more durable sealer is desired, polyurethanes and epoxies are good candidates. They are usually used on interior applications because, in most cases, they are not breathable or as forgiving as acrylics are. It is important to note that manufacturers do not always state on their label what type of resin they use in their sealers. 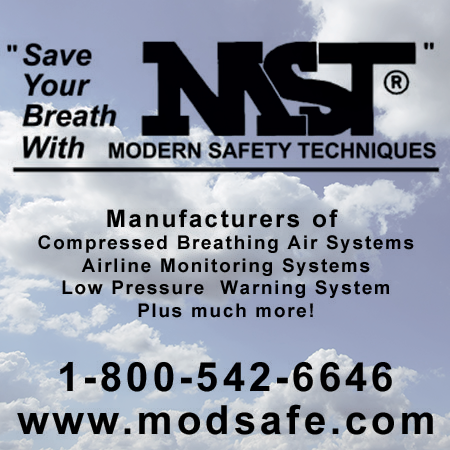 You may need to reference the Safety Data Sheet, which contains that information. When you consider the environmental factors that concrete sealers, both interior and exterior, are subject to, the fact that they perform as well as they do is a testament to their durability. That being said, concrete sealers have limitations and require some level of maintenance to keep them looking and performing at a high level. Life span will vary by the type and amount of resin, as well as the type and amount of traffic the sealer is subject to. The typical life span for an exterior acrylic concrete sealer is one to three years, while a polyurethane or epoxy on an interior floor can last five to 10 years. The critical variable is the type of traffic. The same sealer applied to a low-traffic interior floor will last much longer than if it was applied to a driveway in a freeze-thaw climate. 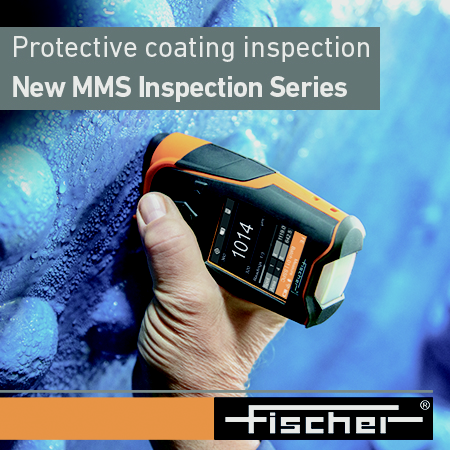 Always remember that sealers do not last forever, and maintenance is critical for long-term performance. In the past 15 years, I’ve become more guarded on the recommendations I hand out in regard to resealing. I used to be quick with advice for any job, no matter how far gone the sealer. “Just clean it and reseal every year or two” is still the standard advice I hear regarding resealing. I believe this “one-size-fits-all” strategy for resealing is a significant reason for many of the sealer issues the industry faces today. 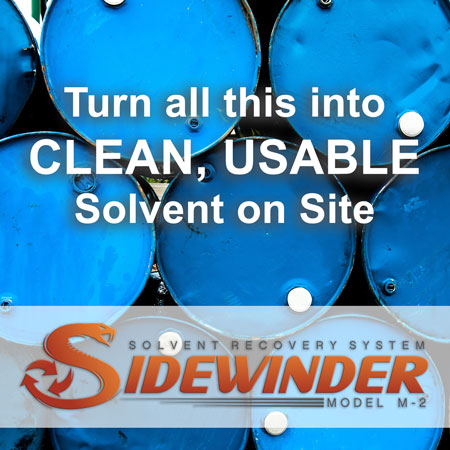 I also believe that manufacturers and installers alike need to focus more attention on the process of resealing, as well as the strategies and recommendations they provide to clients. 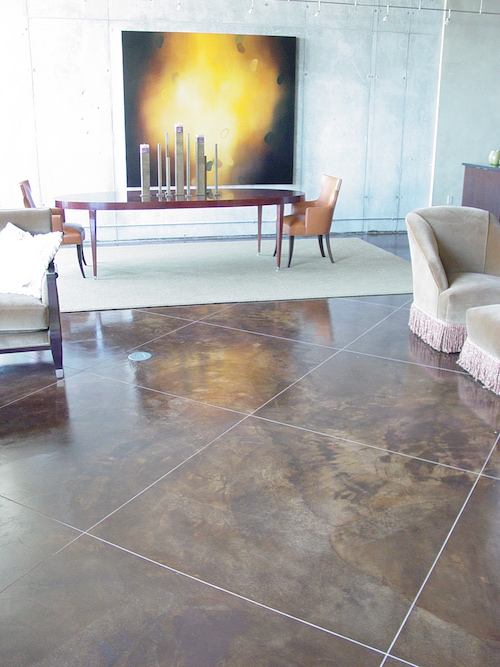 High-gloss sealer brings out the color and beauty of this stained concrete floor in a loft residence. Today, I am much more cautious when it comes to resealing instructions, usually recommending that the surface be stripped of all existing sealer. That advice never goes over well, as there are not many jobs as miserable as stripping sealer from stamped concrete. I get that, but experience has taught me that if you are not 100 percent certain of what is on the surface, or the job is not in good condition, stripping is the best way to go. Here are a few key factors to help you determine whether you should reseal exterior decorative concrete. Too often the job doesn’t need to be resealed. In many cases, plenty of sealer still remains, and the issue is more about the desire to have that clean, shiny new look back. Adding coat after coat of sealer, year after year, only to bring back gloss is a recipe for disaster. Look into sealer rejuvenators, which restore shine without increasing sealer thickness. At some point after multiple years of reapplication, those coats of sealer need to be stripped and the process started over. Slow down. Unless it has been 10 years since the last sealer was applied, or the surface has been stripped or never been sealed, chances are there is more sealer there than you can see. Most reseals are applied just like the first application. This usually doesn’t provide enough time for one coat to adhere to the first. With solvent-based acrylics it takes 60 to 90 seconds for the new reseal coat to wet out the existing sealer. This involves slowing down, working in small areas, rolling the reseal into the existing sealer and having some patience. For high-performance interior coatings, de-glossing or sanding the floor prior to resealing is an important step. Resealing can’t fix a bad job. Resealing will not fix issues with the concrete, such as color failure or efflorescence. Too often I get called on jobs where a reseal is failing, and now the installer and owner are dealing with two issues: the original problem and a failing reseal. Understanding and identifying issues before resealing are critical. If in doubt, strip the sealer and address the root of the problem. Resealing will not fix flaking and/or chipping sealer. Once the sealer starts delaminating from the concrete, resealing is only a Band-Aid fix. You may improve the look for a little while, but the original sealer issue still exists and it will come back—typically worse than ever. Manage your client’s expectations. Too often homeowners are under the misconception that their stamped concrete patio, which is subject to wind, rain, dirt and sun, should look as shiny and new two years after it was initially sealed. The response usually involves resealing to restore gloss, when rejuvenating or cleaning is all that’s needed. Think tires! 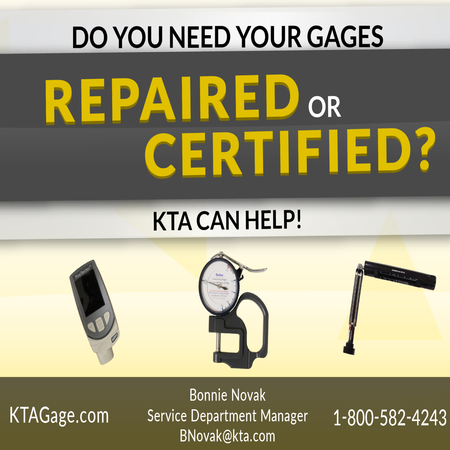 Do you replace tires on your vehicle every year, no matter their condition? I doubt it. Most people replace tires when the tread is worn. That can vary based on the tires, as well as how much and on what they are driven. Same goes for sealers. Reseal when the sealer is gone, not based on the calendar. Look at other options. Products like sealer rejuvenators, stains and penetrating sealers are becoming popular because they bring life back to dull and worn sealers. 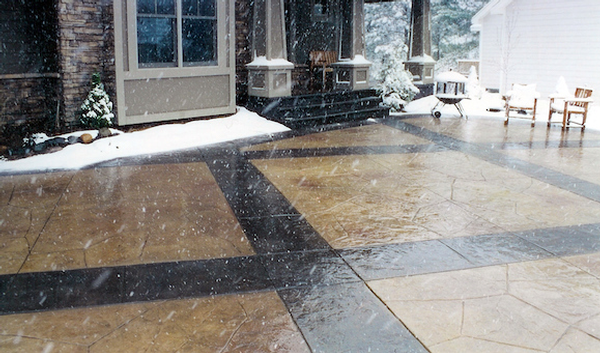 Penetrating sealers can add waterproofing and stain-resistant properties to existing sealers. They are not a magic fix, but they do offer an alternative to just throwing more sealer on the surface. 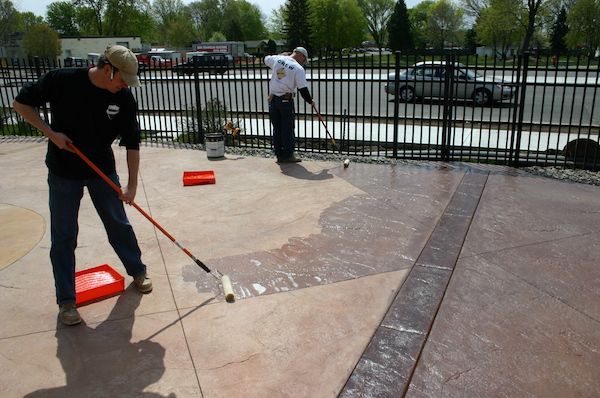 Sealers can provide protection as well as beautify concrete surfaces. Concrete sealers have received a bad rap over the last decade, and, in many cases, it is not deserved. The technology and durability are there; it usually comes down to application or misunderstanding what can be expected. Decades of testing have proven beyond a doubt that sealing does improve the lifespan, as well as aesthetics, of concrete. With a little research and communication from all parties involved, sealing concrete should provide a positive result for the life of the concrete. Chris Sullivan is an industry expert when it comes to troubleshooting all facets of decorative concrete. He is part owner and vice president of sales and marketing for ChemSystems Inc., a leading manufacturer of decorative concrete admixtures. His responsibilities include managing all sales and marketing activities for the company in addition to new product development with an emphasis on troubleshooting, application and technical issues. Sullivan has presented at the World of Concrete and Concrete Décor trade shows and has written extensively on aspects of architectural concrete. He is an active member of the American Society of Concrete Contractors and board member for the Decorative Concrete Council. Sullivan was inducted into the Decorative Concrete Hall of Fame in 2015. One of the good things about acrylic sealers is how easy it is to remove them with soy gel. 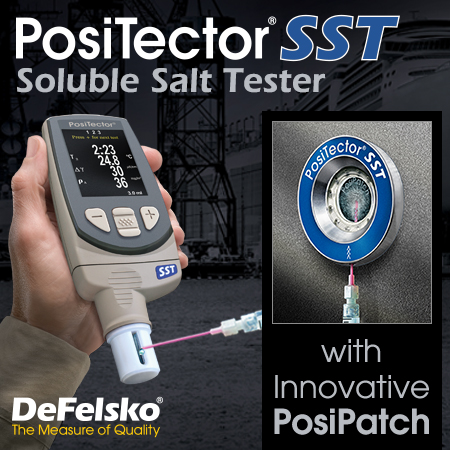 We used this in a pharmaceutical plant with total customer satisfaction.